Gulbadin Naib shone with both bat and ball as Afghanistan produced a clinical performance to notch up a five-wicket win over Ireland in the first ODI to take a 1-0 lead in the five-match series here Thursday. Electing to bat, Ireland were folded for 161 in 49.2 overs with Dawlat Zadran (3/35) and Mujeeb Ur Rahman (3/14) returning with three wickets each. Gulbadin (2/20) also claimed two wickets. 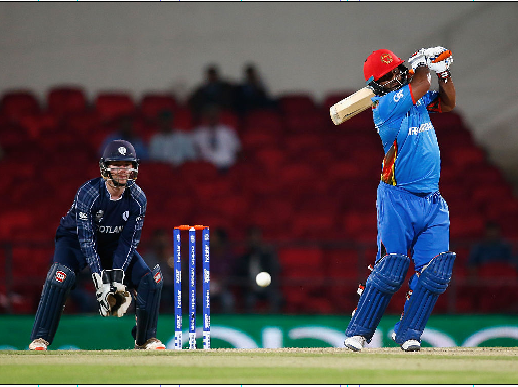 Afghanistan’s top-order and middle-order then fired with opener Mohammad Shahzad (43) and No. 5 Gulbadin (46) taking the team home, scoring 165 for 5 in 41.5 overs. Hazratullah Zazai (25) and Rahmat Shah (22) too contributed for Afghanistan. Boyd Rankin (2/48) scalped two wickets, while Simi Singh (1/19), Barry McCarthy (1/33) and Dockrell (1/31) were the other wicket takers for Ireland. Afghanistan had earlier whitewashed Ireland 3-0 in the three-match T20I series.